“Karmen-süita” “Bolero” in Azerbaijan State Academic Opera and Ballet Theatre buy tickets online. 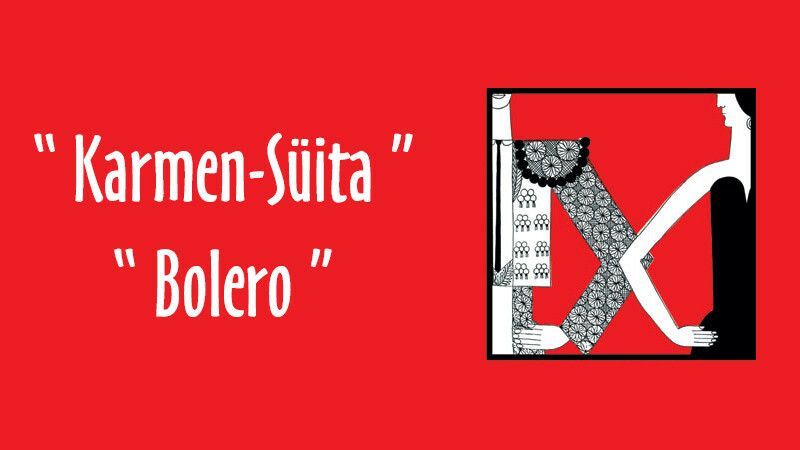 Delivery of tickets for the event “Karmen-süita” “Bolero”. Unlike literary source and G. Bizet’s opera ballet resolved by none domestic narrative but in conditionally symbolic key. Tragic fate of gipsy Carmen and Hose is in the center of performance impetrated “flower of fired love” from her. But Carmen leaves Hose for young Torrero. Their relationship and death of Carmen by Hose predicted by fate, image that associates with a bull. Final scene of the performance unfolds on background of conflict between Hose and Carmen. He’s left by himself in front of “love flower” that singed his heart but never warmed his soul as he strikes Carmen. Ravel’s “spanishism” is dreamier than scientific. Mauirce Ravel only kept archetype in more playful rhythm of traditional “Bolero”. We feel renouncement from metaphysics and art that lives in existential depth of this romantic that announced war to romantism. First of all, we see defying art, histrionic and masterly that comes from tragedy of her own life. We see history of human in this work written in 1928 than music, that “breathes” and emerges. Constant fight of intellect and sensuality, mind and passion hide this inner lava.